ClearObject, an Internet of Things (IoT) Systems Innovator, today announced it ranked No. 292 on Deloitte’s Technology Fast 500™, a ranking of the 500 fastest growing technology, media, telecommunications, life sciences and energy tech companies in North America. ClearObject grew 297 percent during this period. 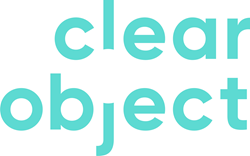 ClearObject is an IoT Systems Innovator helping the world’s best companies connect their bold ideas to the Internet of Things. We bring our years of experience, our team of experts and our coalition of leading partners together to make your IoT solutions a reality.